We are a leading Manufacturer of aluminium corrugated sheet and corrugated sheet from Mumbai, India. Leveraging on our enormous business competency and huge info of this field, we have brought forth a vast gamut of Aluminum Corrugated Sheets. 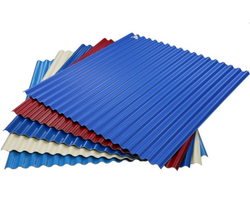 We offer the best and supreme quality range of Corrugated Sheet.